Australian mining company Rio Tinto’s high-tech train completed the first fully autonomous delivery of iron ore in Western Australia’s Pilbara. The autonomous train, consisting of three locomotives, carried about 28,000 tonnes of iron ore across 280 km from the company’s mining operations in Tom Price to the port of Cape Lambert on July 10. As we have reported, companies and research teams across the world continue to develop driverless cars, trucks, ships and airplanes for passengers. But complete automation of passenger trains is still an unviable idea. This is the second time Rio Tinto has completed an autonomous train journey. The company’s first trial of the technology in October, last year, saw its train run a distance of 100 km between Australia’s Wombat Junction and Paraburdoo – but the train did not carry any cargo or passengers. 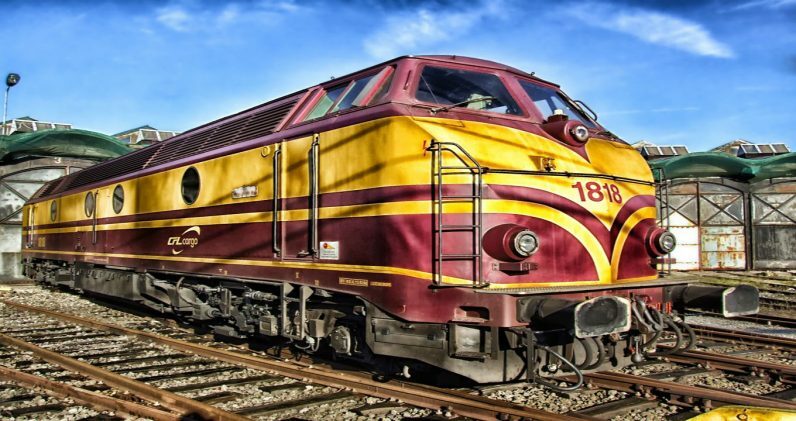 Rio Tinto noted earlier that it aims to use the technology to standardize its trains’ operation and increase their speeds across its network. With these recent developments, one might wonder if it is easier to bring autonomous passenger trains to the mainstream before self-driving cars could make it to the traffic. But that’s not going to happen anytime soon. It is important to understand that even within automated trains, there are four grades. The first grade is Automated Train Protection (or ATP) which is a system that continuously checks the train’s speed and stops if it goes out of control. The second is Automated Train Operation (ATO) in which some systems like changing tracks, starting, and stopping are automated. The third category is Driverless Train Operation (DTO) in which there are no drivers, but there is an attendant to take control when there is an emergency. Above all these is true automation without any staff on board – Unattended Train Operation (UTO). The first three categories are already operational in some countries as metro rails, subway trains, or as light rail. You can find some autonomous passenger rail systems in Germany, Canada, and France manufactured by companies like Siemens, Bombaier and Alstom. London’s Docklands Light Railway and Copenhagen’s Metro also use systems with automatic train protection, operation and supervision. However, these do not have obstacle detection systems and are mostly limited to trips over raised, unobstructed tracks like metro lines, airport terminal connections, and amusement parks. So these trains always assume a free line and race through. But there’s a major bottleneck holding true UTOs back. It’s harder to manage the stoppage distance of trains over long distances than of any other vehicle type. Trains need to identify stations or obstacles well in advance before making a calculated stop. To make matters worse, the friction between a train’s metal wheels and metal tracks is much lower than that between a car’s tyre and the road. So coming to a quick stop needs human oversight. Achieving full automation would require advanced image processing technology relaying information at high speeds to the control units at all times. These systems must also be constantly maintained by highly trained personnel, adding more costs to the implementation. Additionally, railway workers across the world are unionized, and would not want to lose their jobs to automation. Plus, many people feel UTOs might be risky, and as such, there’s not a lot of public support for these vehicles at the moment. All these factors tell us that completely automated, long distance passenger trains may not become a mainstay at least in the foreseeable future.